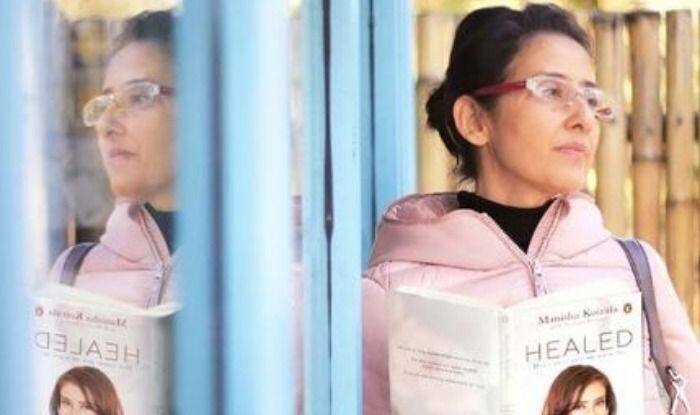 She has come out victorious in her fight with cancer, but actress Manisha Koirala has revealed that it was painful when she had to revisit the time she was ill for her book Healed: How Cancer Gave Me a New Life. The book chronicles her battle with ovarian cancer, which she was diagnosed with in 2012. She overcame the disease and has been cancer free since 2013. At the launch of her book, Manisha recalled how difficult it was for her to write down each and every detail that had taken place, and how she thought she would never be able to finish it. “It was indeed very painful to revisit the phase for the book. To be able to remember everything in detail, revisit and stay with that, it was really painful. I had shut the book several times as I thought I wouldn’t be able to finish writing it. I often thought that it was a bad idea, that I shouldn’t attempt writing,” Manisha told reporters. Manisha also took to her Instagram page to share a picture of herself at the book launch. Dressed in a maroon suit, she looked a picture of health as she smiled for the camera. Manisha said what kept her going was the zeal to tell her story to the world so that it inspired people who have been diagnosed with cancer. “I guess I just wanted to tell the story and I wanted to encourage myself as well as other cancer patients who have been diagnosed. That whole thing kept me going,” she stated. The book launch was attended by several of Manisha’s friends from the film industry including Rekha, Anupam Kher, Jackie Shroff, Bhagyashree, Mahesh Bhatt, Imtiaz Ali and Dia Mirza.